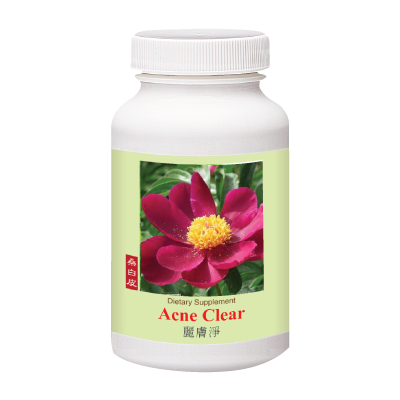 For acne prone skin, detox the body and improve blood circulation. Shang Bai Pi (Morus Bark), Shan Yao (Dioscorea), Si Gua Luo (Luffa Fiber), Chuan Lian Zi (Melia), Di Fu Zi (Kochia), Ge Gen (Pueraria). Take 2-3 tablets, 3 time daily.